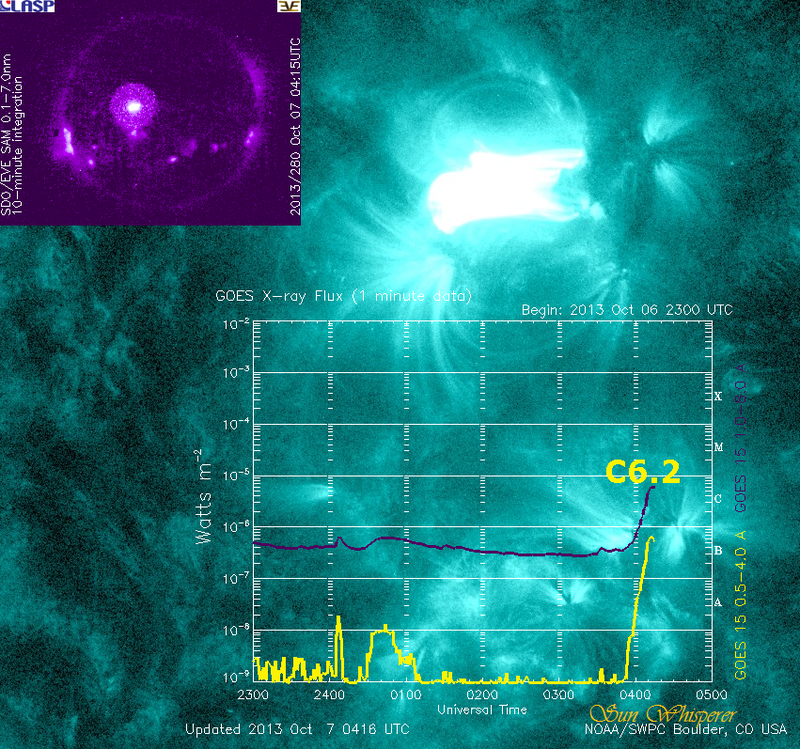 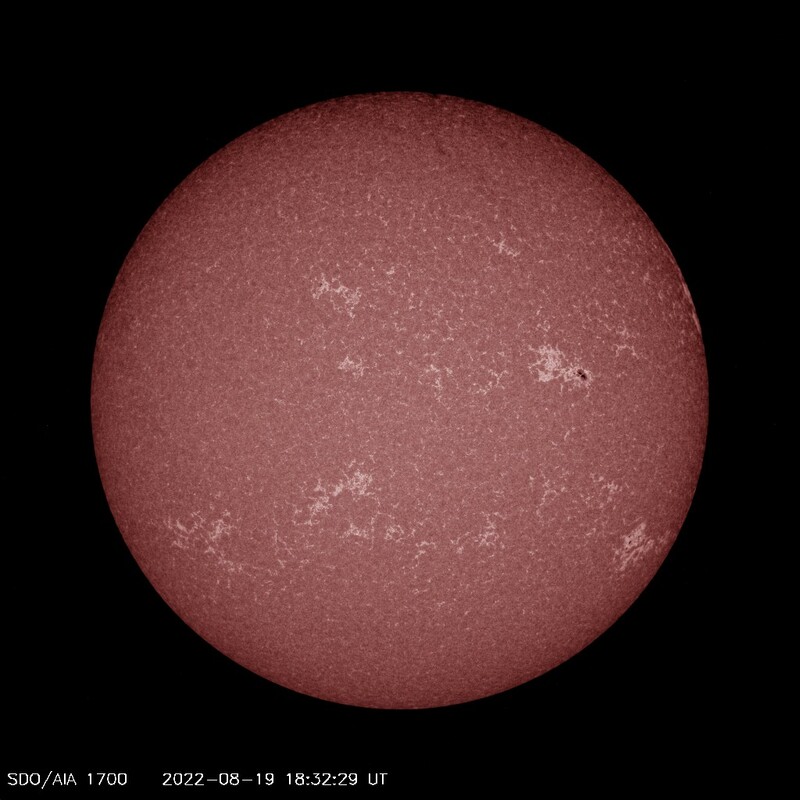 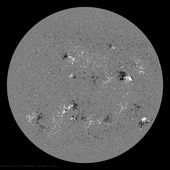 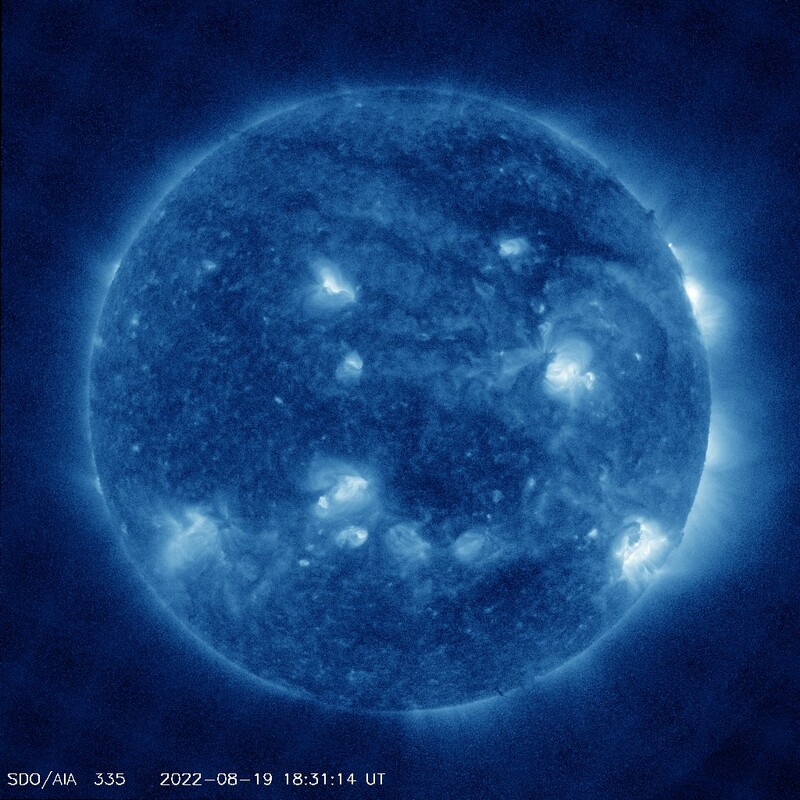 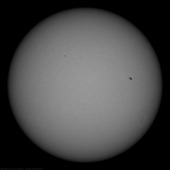 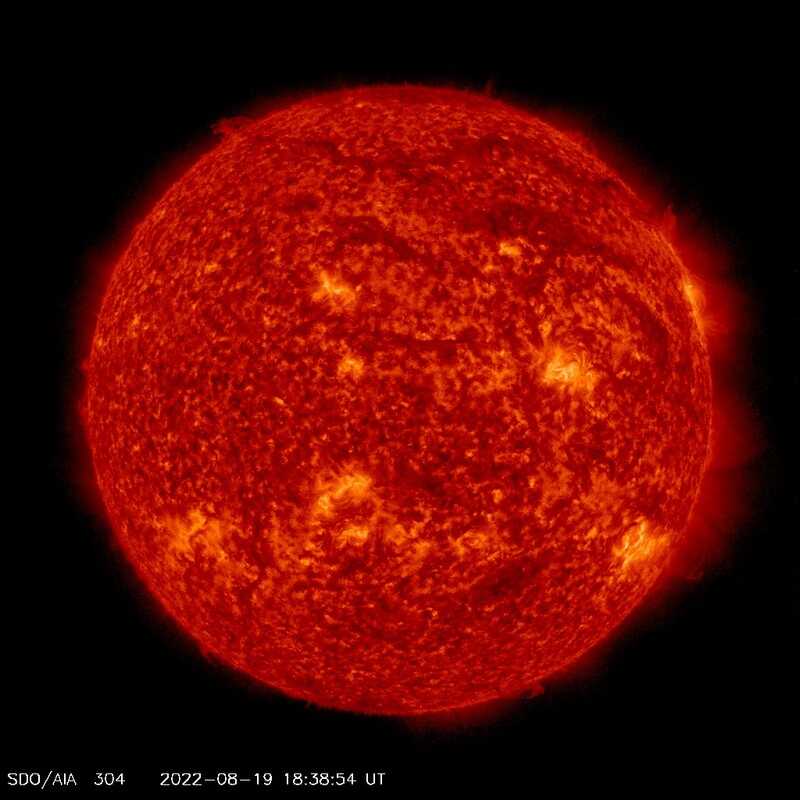 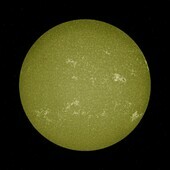 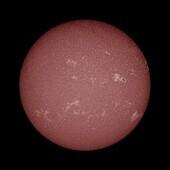 M7.3-CLASS SOLAR FLARE/CME: Sunspot AR-2036 erupted today, April 18th, at 13:03 UT, producing a strong M7-class solar flare. 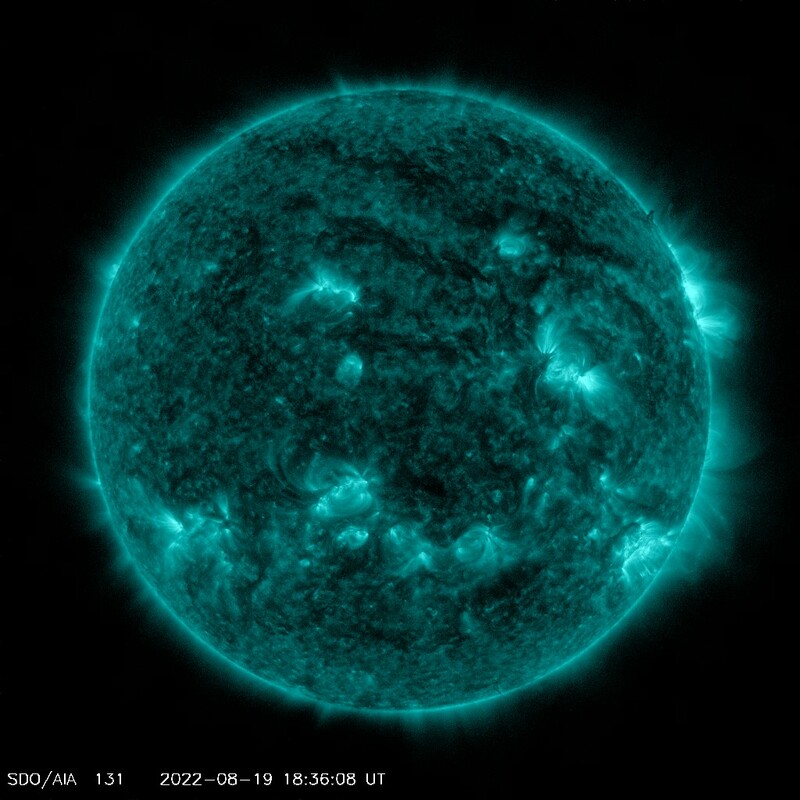 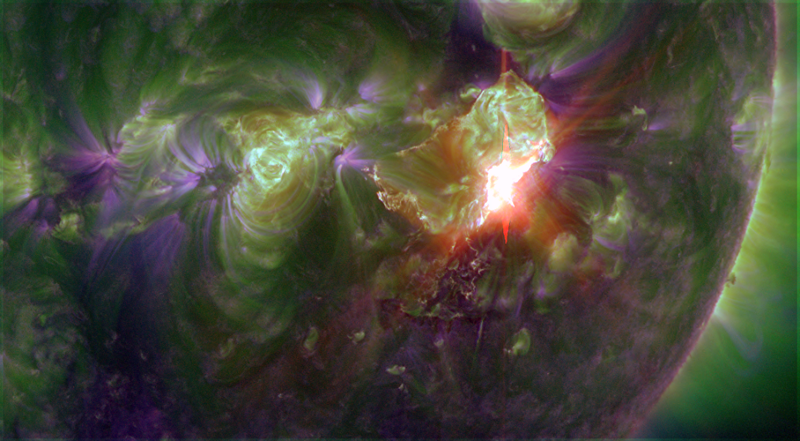 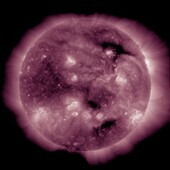 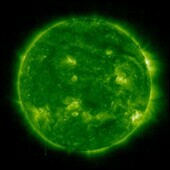 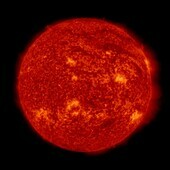 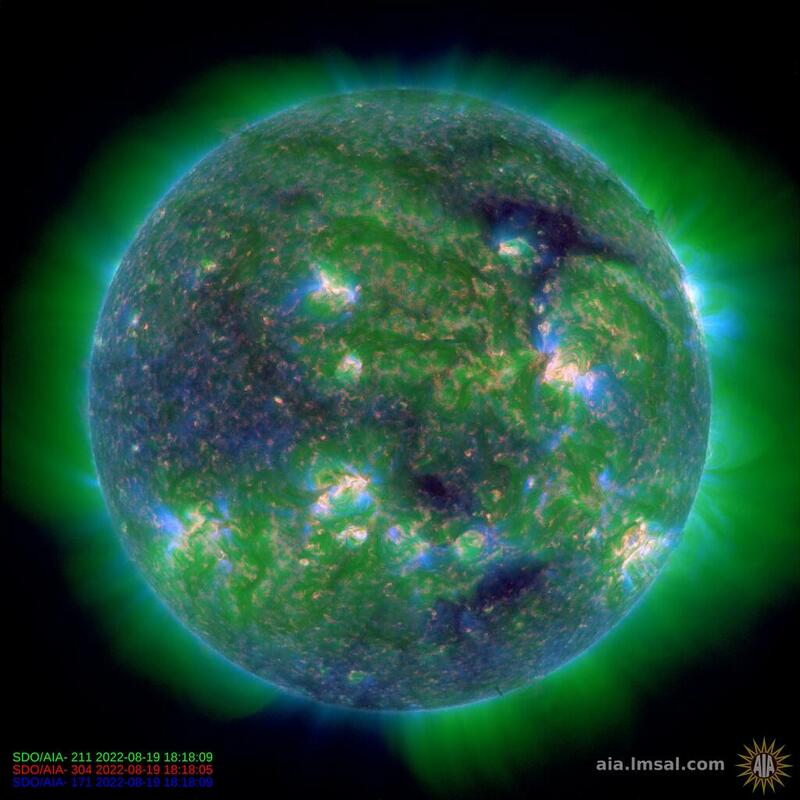 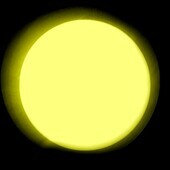 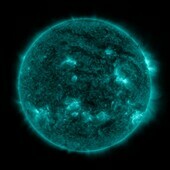 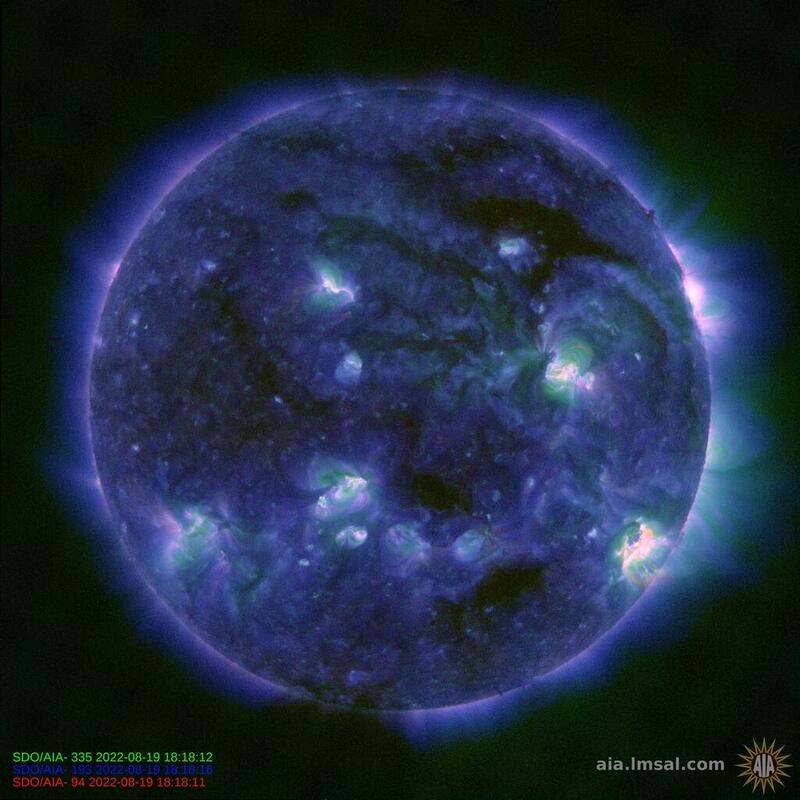 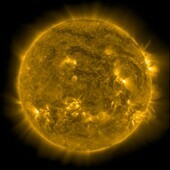 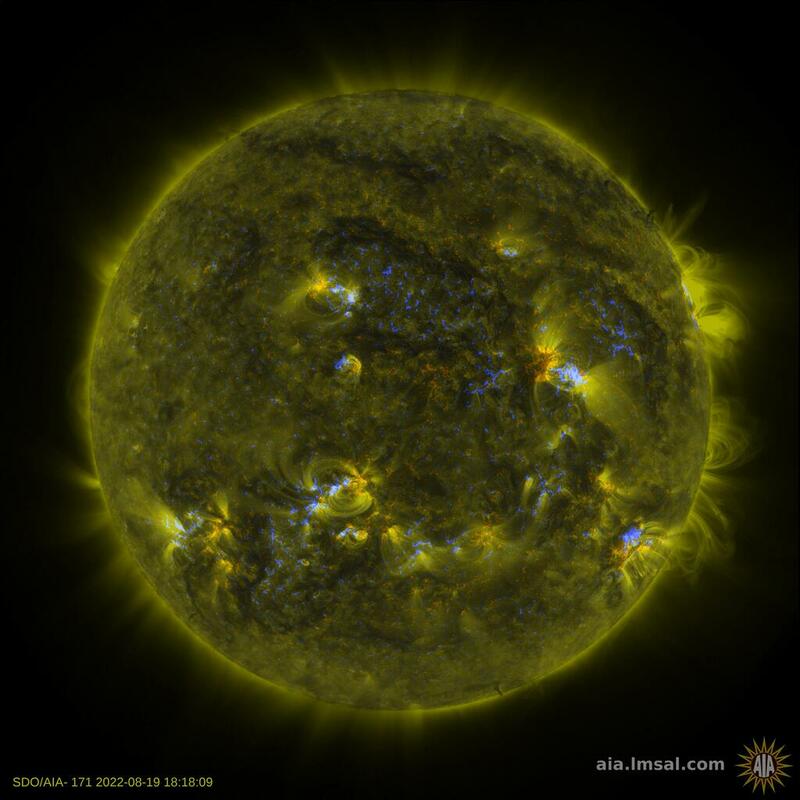 NASA's Solar Dynamics Observatory recorded the extreme ultraviolet flash and eruption in the AIA 304. 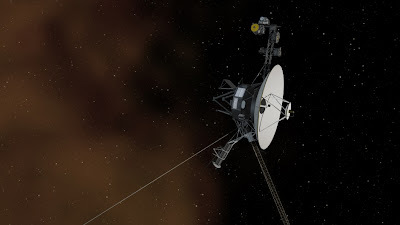 An S1-class radiation storm is underway in the aftermath of the flare. 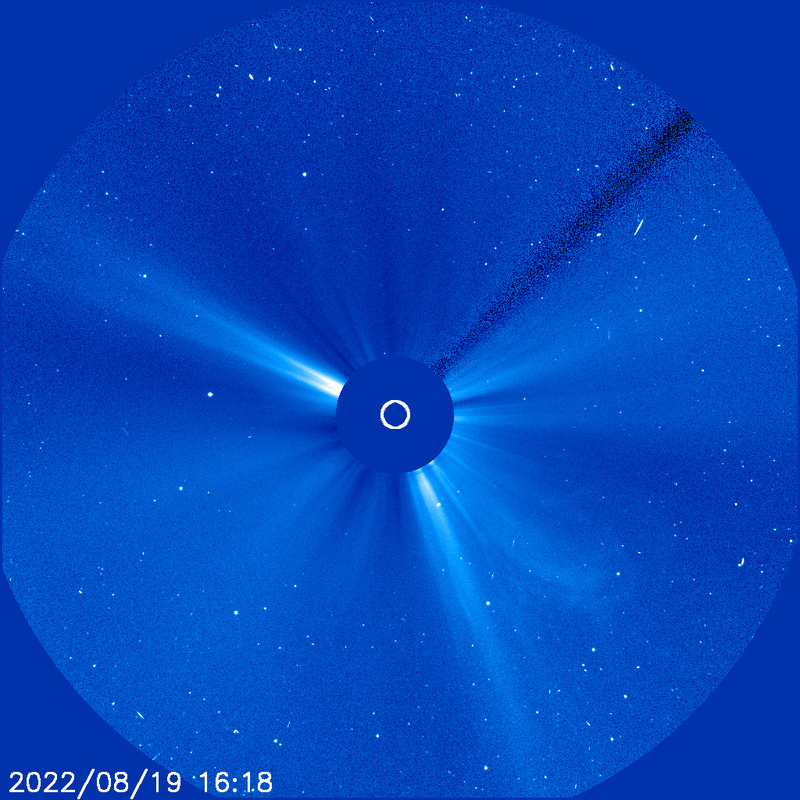 However, this is a relatively minor storm which poses minimal threat to satellites and aircraft. 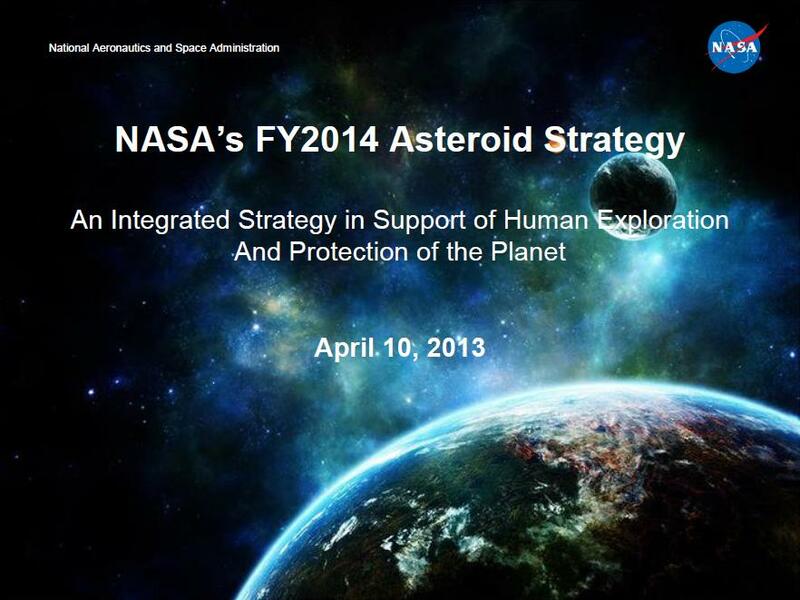 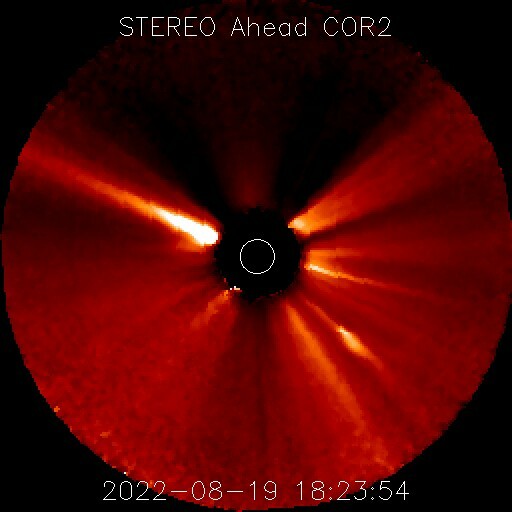 Of greater interest is a CME that emerged from the blast site. 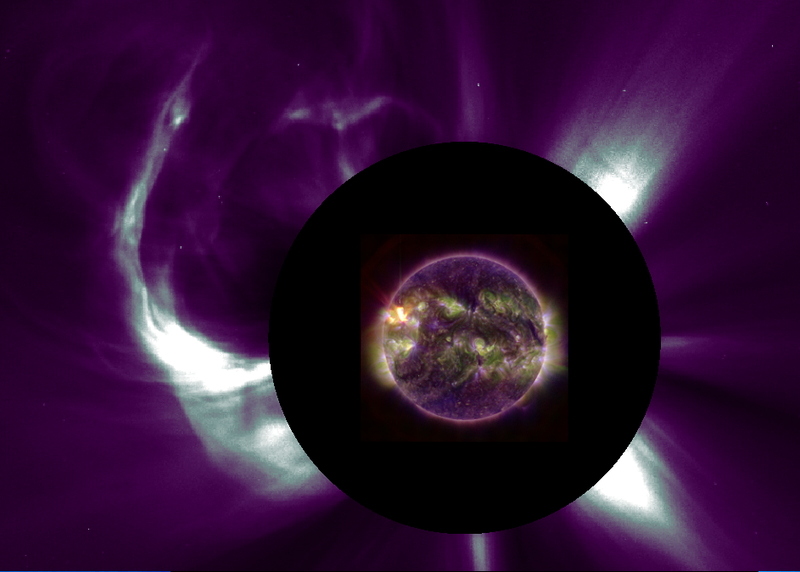 The Solar and Heliospheric Observatory recorded the storm cloud racing away from the sun at aproximately 800 km/s. 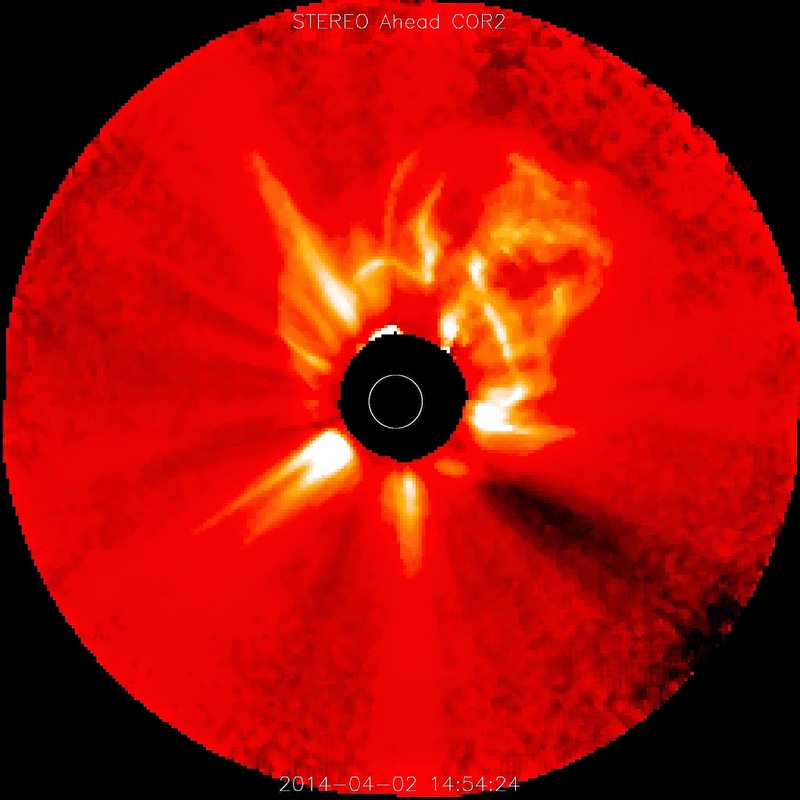 This CME could deliver a glancing blow to Earth's magnetic field on or about April 20th. 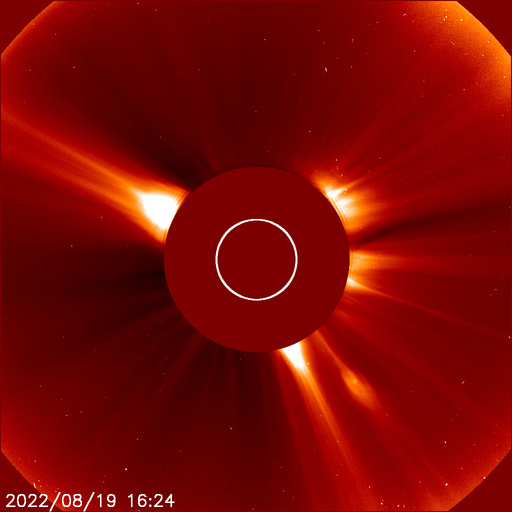 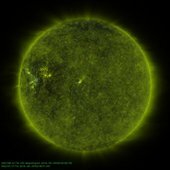 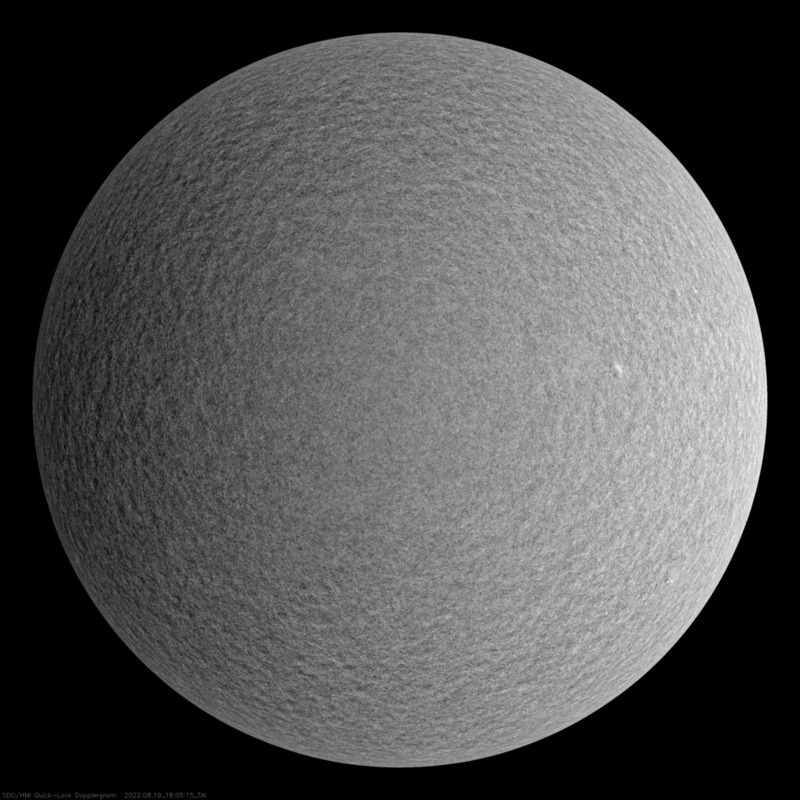 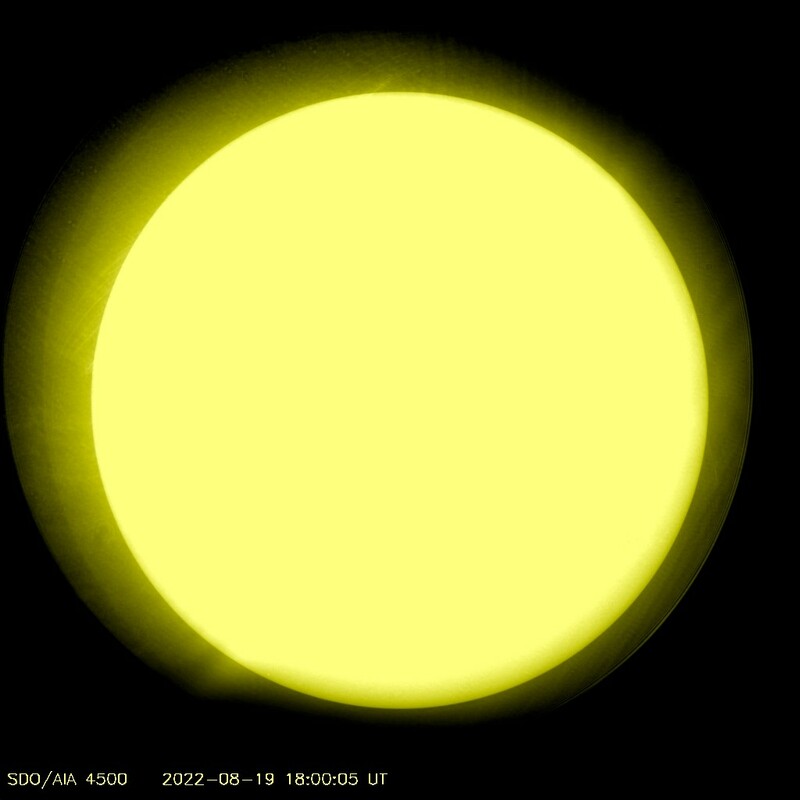 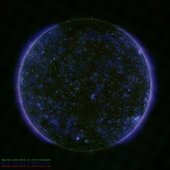 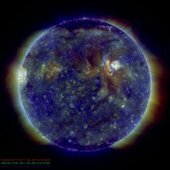 Two or three minor CMEs are expected to preceed this on April 18th-19th, and the combined impacts could generate a geomagnetic storm during the weekend. High-latitude sky watchers should be alert for auroras.